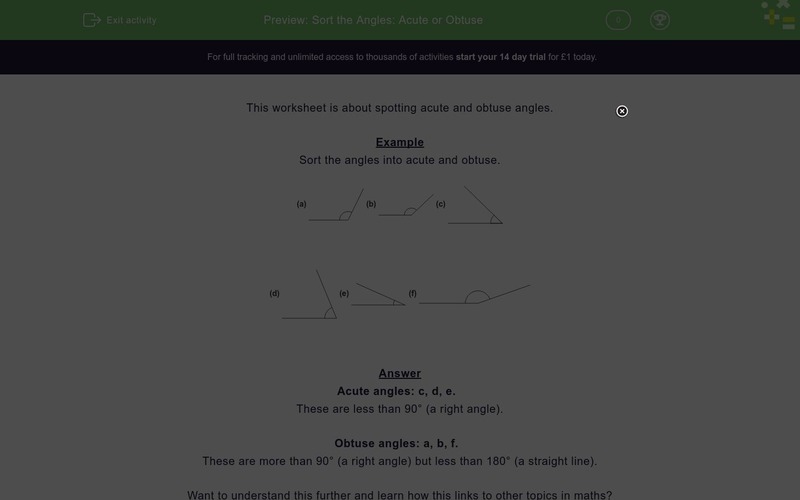 In this worksheet, students sort angles into acute or obtuse. This worksheet is about spotting acute and obtuse angles. Sort the angles into acute and obtuse. Acute angles: c, d, e.
Obtuse angles: a, b, f.